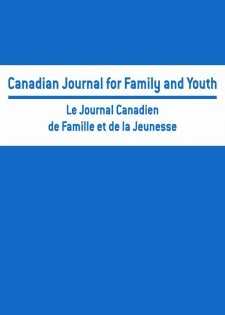 The Canadian Journal of Family and Youth (CJFY), published once a year is a fully refereed interdisciplinary journal. Responding to the diversification of scholarly interests and regional concerns, the journal will be an outlet for Canadian and comparative scholarship on the changing dynamics of the family and the social situation of youth. Relevant papers might come from any discipline including Criminology, Political Science, Economics, Sociology, English, Philosophy, Business or Science. Scholarly debates on family related themes could refer to such topics as community and other social contexts, family dynamics, life course events, domestic violence, dating, marriage, and divorce but also ethnicity, racism, social class, gender, genetics, and ageism. Youth-related themes could include family issues, community, education, paid and volunteer work, youth-directed marketing, sports, delinquency and gangs, and so on. Journal articles, reports, commentaries, poems, and short stories that are presented in accessible language will be welcome, along with book reviews on family and youth.